So, this is weird. 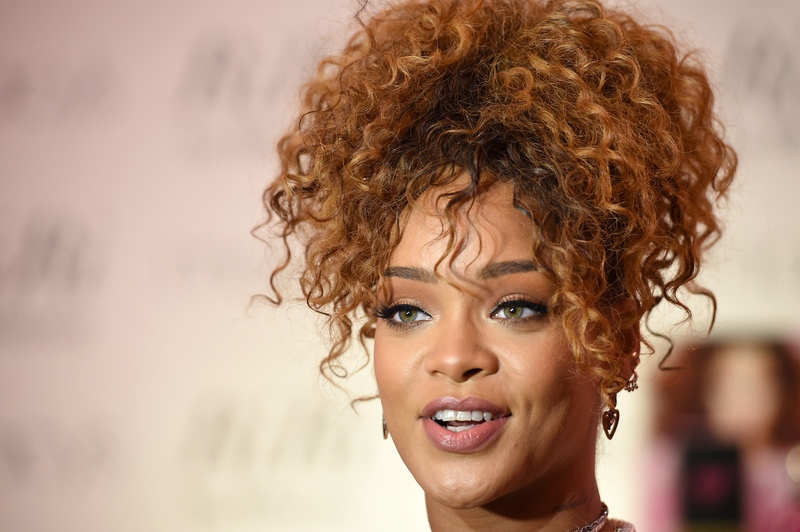 In her Vanity Fair cover story, set to be released in print Oct. 13, Rihanna called Rachel Dolezal a "hero." In case you forgot who Dolezal was, she was the white woman from Spokane, Washington, who was outed by her parents this past summer for pretending to be black. Dolezal, formerly an NAACP chapter president in Spokane, Washington, sparked widespread outrage and spurred questions over what it really means to be "transracial," so to see RiRi vocally express support definitely sets you back, for sure. But when you hear Rihanna's reasoning, it does make you reassess how you feel about the whole debacle, even if just a little bit. In the story, Vanity Fair's Lisa Robinson writes how she and Rihanna were running through a variety of topics, from LeBron James' championship loss to her close knit of BFFs, when the singer gave her two cents on Dolezal. To be fair, the Dolezal mention was a passing point stuck at the bottom of what is a lengthy article on the ups and downs of Rihanna's career. But the quote definitely sticks out. I think she was a bit of a hero, because she kind of flipped on society a little bit. Is it such a horrible thing that she pretended to be black? Black is a great thing, and I think she legit changed people’s perspective a bit and woke people up. Rihanna is heralded as a strong feminist who works hard and is clear about who she is and what she wants. That's why her compliment of Dolezal, who misrepresented not only her race but her entire identity, just feels wrong. But Rihanna makes an interesting point about how the world perceives black culture and the black community. No, Dolezal probably isn't the right person to celebrate as a black icon, but she did initiate a national conversation about what it means to be black and showed it's a question that's still egregiously unanswered despite increasing charges of cultural appropriation and calls that black lives matter in this country. I'm still not a fan of Dolezal. I personally don't think the woman, who had her own heavily scrutinized Vanity Fair article, had the most altruistic intentions when she deceived a whole community about her race, and already Rihanna's comments are putting people off. But in a weird twisted way, Rihanna's point that pretending to be black means you must find value in being black does make you think twice. And this country definitely could use a lesson on valuing the black experience.